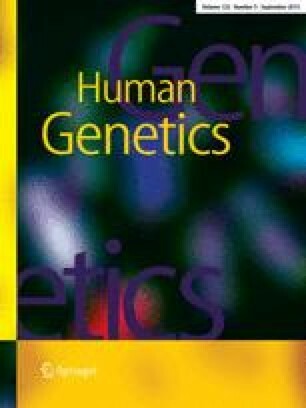 The base excision repair gene MYH protects against damage to DNA from reactive oxygen species, which are commonly found in cigarette smoke. Inherited mutations in MYH predispose to colorectal adenomas and carcinomas that show a characteristic pattern of somatic G:C→T:A mutations in the APC gene. A similar pattern of somatic mutations in the TP53 gene is reported in smoking-related lung cancers. We therefore tested whether germline changes in MYH may also contribute to the development of lung cancer by screening for variants in 276 patients with lung carcinoma and 106 normal controls. No patients harboured truncating mutations in MYH and only a single patient was a carrier for the G382D missense mutation. We identified three common coding region (V22M, Q324H and S501F) and intronic (157+30A>G, 462+35G>A and 1435−40G>C) variants, but none were over-represented in the patient samples, indicating that MYH variants are unlikely to predispose significantly to the risk of lung cancer. This work was supported by grants from the King Saud University via the Saudi Cultural Bureau, the Knowledge Exploitation Fund (ELWA), a CETIC (Centres of Expertise in Technology and Industrial Collaboration) award from the W.D.A., the Wales Gene Park and Cancer Research UK. We would also like to thank HEAL Cancer Charity and Aventis Pharma for funding the collection of samples. Finally we are grateful to the GELCAPS Consortium investigators and study entrants.